The final 10 nominees are in and they’re a wonderful choice. Of course I would be deluding myself if I wasn’t hoping for a spot among the shortlist of 10 nominees. Yes, I was disapointed. The closer you get the more you think that maybe, just maybe, there might be a chance that…. But I’m very glad for the 10 nominees and I’m glad that there is a Global Teacher Prize and it was already a huge honour to be amongst the 50 nominees. It sheds a spotlight on the wonderful work teachers are doing and the wonderful job we have working with children. All of the 50 nominated teachers are a bigger advert than any government agency can come up with (In the Netherlands these campaigns are exceedingly dull and lame) Each and everyone of them is showing what teaching is about: inspiration, opportunities, creativity. Who wouldn’t want to work in an environment like that? On the other hand the teaching profession is undervalued and plagued by many and similar issues worldwide. Teachers are valued individually, but as a profession we’re not. That really needs to change and the Teacher Prize is one step in that direction. On the other hand we shouldn’t just rely on others awarding us an honour. It would be an empty gesture in itself if we do not also proudly claim discretionary space for our own. We’re not the role models that students deserve if we do not act accordingly. These wonderful 49 nominees are already doing that. Tom Bennet who is a role model and inspiration of how teachers should relate to research in eduation and who steadily working on an international Researched network. Cesar Bona is a focal point for educational reform in Spain and an inspiration for teachers in Latin America. And if the educational system is not doing the children justice you start your own schools like Elisa Guerra Cruz in Mexico. Everyone has so many innovative teaching practises to share, from Vese Vesela Bogdanovic and her literally magical teaching experiences to Cameron Patterson, whose history teaching practices are giving me food for thought. Personally I already knew some of the teachers in the top-50. Tom is contributing to our new book. I’ve met Noah Zeichner in Canada at a teacher leadership conference. I’ll meet Jeff Charboneau at the International Summit on the Teaching Profession where we’ll be both making the case for teacher leadership. And both Jeff, Noah, Nancy Barile and I are already part of the Centre for Teacher Quality. Hopefully I’ll meet Mark Reid when he comes over to visit his family in the Netherlands. And I’m sure I’ll meet Mareike Hachemer soon, since she lives just around the corner (relatively speaking). But distance shouldn’t be a problem any more since we are all connected on-line. New information technology is allowing us to level not only institutional, but also national boundaries. Now we’re also part of the Varkey Teachers Ambassadors Programme. I’m proud to be part of a growing international teacher network which will shape the future of education. Through their work these 49 teachers are already making a case for teacher led educational reform. How can we not give more responsibility and recognition to teachers if this is just a small sampling of what’s going on worldwide? I wish the 10 nominees all the best in the world and I’ll conclude with these wonderful words of Dutch secretary of Education Jet Bussemaker and State Secretary Sander Dekker. Educational reform should be a combined effort of all parties involved. No matter how difficult that is sometimes, I think that is what we’re doing in the Netherlands. What a pity that you have not reached the top 10 of The Global Teacher Prize. We would have supported such an honor awarded to you wholeheartedly. As for us , you have already earned it! But you will undoubtedly get over the disappointment quickly, because you have every reason to be proud of yourself. After all, according to the jury you already belong to the fifty best teachers in the world, and there is no teacher in the Netherlands who can repeat that! Therefore continue in the way that characterizes you: as an inspiring and motivating teacher for your students and therefore a role model for your colleagues. That way you can ensure that our education gets even better. And then many more Dutch teachers will enter the top 50 of The Global Teacher Prize ! Wat jammer dat je niet bent doorgedrongen tot de top 10 van The Global Teacher Prize. We hadden je zo’n ereplaats van harte gegund. Wat ons betreft heb je die ook verdiend! Maar je zult ongetwijfeld snel over de teleurstelling heen komen, want je hebt alle reden om trots op jezelf te zijn. Volgens de jury behoor je immers tot de vijftig beste leraren ter wereld, en er is geen docent in Nederland die je dat na kan zeggen! Blijf daarom vooral doorgaan op de manier die we van je kennen: als inspirerende en motiverende docent voor je leerlingen en daarmee ook als rolmodel voor je collega’s. Op die manier kun jij ervoor zorgen dat ons onderwijs nóg beter wordt. En dan komen er nog veel meer Nederlandse leraren in de top 50 van The Global Teacher Prize! Flip the Classroom or Flip the System? I’m a big proponent of using new technologies in education. I’ve used new pedagogies like Flipping the Classroom to achieve more differentiation. Use social media for anytime/anyplace learning. Videogames and web 2.0 tools broaden the pedagogical palette tremendously. And social media has allowed me to reach out to other teachers, researchers, school leaders, policy makers and politicians to gain new insights and influence education on a national level. Without social media I wouldn’t have been able to publish a book (with Rene Kneyber), Het Alternatief, which tries to offer a new way of changing education. Both for students and teachers new technologies offer tremendous opportunities. Education worldwide is at a crossroads. One the one hand there is the tendency for more standardization, privatization, deprofessionalization. All summed up in what Pasi Sahlberg has called the Global Education Reform Movement (GERM). On the other hand we see a renewed focus on equity for all children, a broader holistic view of education and teacher voice as an alternative to out of control accountability. New technologies play a pivotal role in this. Not just because of their disruptive nature perse, but also because of their empowering nature. But a focus on technology itself is not enough. We can only have real meaningful transformation if we focus on the needs on the relation between teachers and their students. Empower teachers, parents and students to make meaningful change and technology will automatically come up in the context of local needs. That is why we need to Flip the System. What happens in the classroom between students and teachers should be supported by the system, instead of teachers supporting the system. We need to know why we use technology and we need to know why we do what we do in general. What is education for? That seems like an obvious question, but it is rarely asked and leads to superficial policies which are out of sync with classroom needs of teachers and students. Thousands of iPads being pushed into classrooms in Los Angeles is very telling example. Individual schools operate in different contexts and might have completely different pedagogical outlooks. Why then choose for a whole district to have iPads? Usually because of managerial focus: teaching will be more efficient, cheaper and the educational process easier to manage, which in most cases turns out to be a mirage. Or the decision is based on good salesmanship on the part of the tech company. Or because iPads are being equated with innovation and pedagogy. Which of course it is not, I love my iPad, but it is nothing more than a tool. It’s a brave new world out there. A sentence which holds both promise and threat. Take learning analytics for example. By digitizing and moving educational activities online we now have the power to gather huge amounts of data on our students. But if you read white papers of the tech industry this data equates learning and can even replace schools. Data is never the real world, the capabilities of adaptive learning are highly overrated and don’t take into account the importance of serendipity in education. Learning Analytics has the possibility to turn education in a standardized nightmare. On the other hand in the hand of a well trained professional this data is a powerful tool and huge opportunity for strong feedback on the learning process. The key lies therefore with the teacher, or better yet, teams of teachers deciding on how to shape education from a shared pedagogical vision. That means teachers also need to have a new set of skills. Teachers need to be designers. 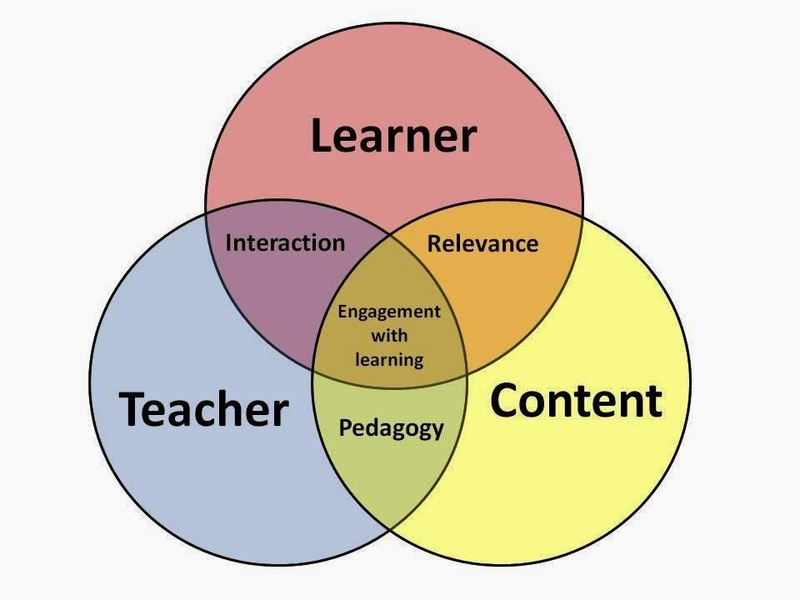 Balancing content (learning goals, cross-curricular, connected) pedagogy (direct instruction, project based learning) and technology (Web 2.0 tools, Maker tools, social media) into meaningful learning. Teachers need to be curators, picking up on new trends, research, pedagogies, technology, content and seeing how they can be put to use in a new context. Central to this is harnessing your own Personal Learning Environment and Network. A web of (digital) tools, on- and offline networks and people. That’s how we design and learn at my own school, UniC. It empowers both students and teachers. The question is, are our educational systems ready for this? Most aren’t. The necessary conditions are usually absent: real ownership, the power to set team and individual goals, being in charge of your own professional development, time, over the top accountability, to name a few, all stand in the way. So we can discuss implementing new technologies and pour huge amounts of resources into getting iPads into classrooms, or we can change the way we work and really achieve a transformation. To flip the classroom we need to flip the system. Biesta, G. (2014). The Beautiful Risk of Education (p. 178). Paradigm. Biesta, G. J. J. (2010). Good Education in an Age of Measurement: Ethics, Politics, Democracy (Interventions: Education, Philosophy, and Culture) (p. 160). Paradigm. Fullan, M. (2012). Stratosphere: Integrating Technology, Pedagogy, and Change Knowledge [Paperback] (p. 100). Pearson; 1 edition. Hargreaves, A., & Fullan, M. (2012). Professional Capital: Transforming Teaching in Every School [Paperback] (p. 240). Teachers College Press; 1 edition. Hargreaves, A., & Shirley, D. (2012). THE GLOBAL FOURTH WAY : THE QUEST FOR EDUCATIONAL EXCELLENCE (p. 215). Boston: Corwin Press. Hattie, J. (2013). Visible Learning and the Science of How We Learn (p. 368). Routledge. Laurillard, D. (2012). Teaching as a Design Science: Building Pedagogical Patterns for Learning and Technology [Paperback] (p. 272). Routledge. Willingham, D. T. (2012). When Can You Trust the Experts? : How to Tell Good Science from Bad in Education (p. 272). Jossey Bass.